After several highs and lows, this particular period found David Lynch defying expectations. While he continued to make films that challenged audiences, he also showed that he was still more than capable of making works that had mainstream appeal. After two-years of working in television, David Lynch was planning to retreat into the world of experimental filmmaking. However, he decided to team up with Wild at Heart novelist Barry Gifford to create the show Hotel Room, which focused on three events that took place in the same hotel room in different years. The show featured several of Lynch’s frequent collaborators such as Harry Dean Stanton, Freddie Jones, Crispin Glover, and Alicia Witt. Despite its unique concept, Hotel Room did not find the audience that HBO hoped for. The network agreed to air the entire three episode series in January of 1993, but it marked the last time for a long time that Lynch would work in the realm of television. In 1995, Lynch was asked by producers in France to take part in an anthology film to celebrate both the 100th anniversary of cinema and the works of the Lumiere Brothers. 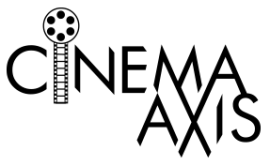 Forty filmmakers including Abbas Kiarostami, Spike Lee, Zhang Yimou, Jacques Rivette, Costa-Garvas, Lasse Hallstrom, James Ivory and Ismail Merchant, and Liv Ullman, to name a few, took part in the project. Each director had to use the Cinematographe camera that the Lumiere Brothers invented and had to ensure that they not only shot the film in 52 seconds, but in just three takes as well. 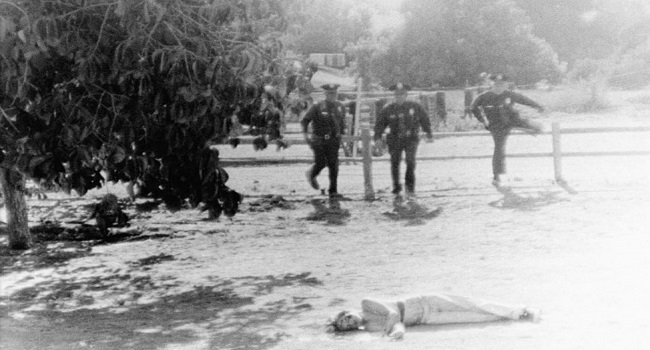 Lynch’s short, Premonition Following an Evil Deed, focused on the police having to tell a family about the death of a young woman. Filled with surreal imagery and textures, the short was considered one of the highlights of the anthology film and gave Lynch a renewed sense of confidence. Having struck up a friendship with Barry Gifford, the two collaborated on a screenplay that inspired by the 1945 noir film Detour by Edgar G. Ulmer. 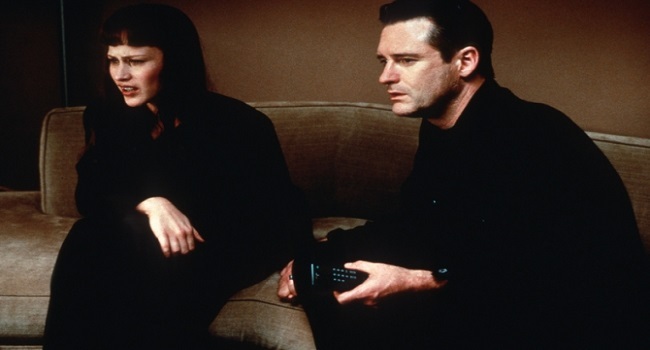 Lost Highway followed a saxophone player (Bill Pullman) who is framed for the murder of his wife (Patricia Arquette). Things take a strange turn when the man is suddenly transformed into a young mechanic (Balthazar Getty) and falls for a mobster’s mistress that looks like the saxophone player’s wife. Though the project had been conceived during the post-production period of Twin Peaks: Fire Walk with Me, it took some time to get funding in order. Eventually the French production company StudioCanal gave Lynch a modest $15 million budget to get the film made. With Pullman, Arquette, and Getty in the lead roles, the supporting cast featured performances by Robert Loggia, Robert Blake, Natasha Gregson Wagner, and Gary Busey. The film also featured Jack Nance and Richard Pryor, both in one of their final onscreen appearances. The talented cast allowed Lynch to explore themes of identity, obsession, and voyeurism in a profound way. While the shooting of the film went smoothly, Lynch struggled in post-production with both finding a suitable running time and the poor audience test screenings. One of the bright spots for Lynch though was hiring Trent Reznor, of the industrial rock band Nine Inch Nails (NIN), to create a soundtrack. The timing couldn’t have been better for both Lynch and Reznor as the latter was a fan of Lynch’s work and needed a distraction between planning the new NIN album and producing Marilyn Manson’s 1996 breakthrough album Antichrist Superstar. Lost Highway received a limited release in February of 1997 and made a little more than $3 million at the U.S. box office. Though the film received mixed reviews from critics, the soundtrack was a commercial hit. Thanks to the association with Reznor, Lynch was introduced to a whole new generation of fans. Just after completing Lost Highway, Lynch decided to make another project that he considered his most experimental film to date. To the surprise of audiences, his idea of experimental turned out to be his most straightforward film to date. Based on the real-life story of an elderly man, Alvin Straight, who traveled three-hundred miles on a tractor, from Laurens, Iowa to Mt. 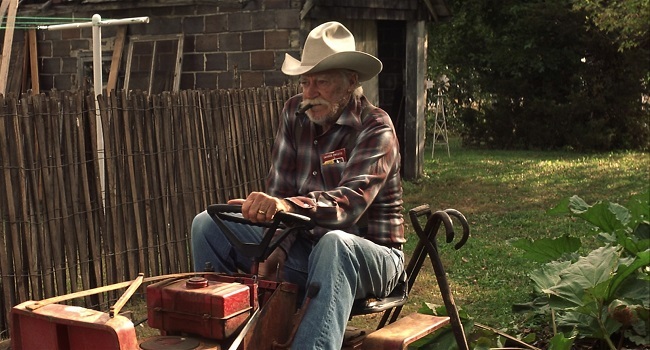 Zion, Wisconsin, to see his ailing brother, The Straight Story was a simple tale that did not feature anything remotely surreal or dark. The film not only saw Lynch working with a familiar crew, such as sound editor Ronald Eng, and costume designer Patricia Norris, but would also reunited the director with old collaborators such as cinematographer Freddie Francis and Jack Fisk on production design. Fisk’s wife Sissy Spacek played the role of Alvin’s daughter Rose while Harry Dean Stanton took the role of Alvin’s brother, Lyle. For the lead role of Alvin Straight, Jack Farnsworth was cast despite suffering from bone cancer. Farnsworth took the role partly because he was inspired by Straight’s real-life determination. Wanting to capture a bit of realism, Lynch decided to not only shoot the film chronologically, which rarely happens in film, but also in the exact locations that Straight ventured. This allowed Lynch to display his love for the richness of the American landscape. The Straight Story premiered at the 1999 Cannes Film Festival and a received a rousing reception from audiences and critics. Yet, the most surprising piece of praise came from Lynch’s longtime detractor Roger Ebert, marking an end of long-standing feud of sorts between the two. The Straight Story was distributed by the Walt Disney Company in the fall of 1999 and grossed $6 million against its $10 million budget. Despite not making its money back, the film was a critical smash. Farnsworth, who took his own life a year after the film was released, even received an Oscar nomination in the Best Actor category. Riding a wave of resurgence, Lynch was contacted by ABC to see if he was interested in making another television series for them. Lynch agreed to shoot a pilot for Mulholland Dr., a story about a woman suffering from amnesia who seeks shelter in the home of an aspiring actress. Casting Laura Elena Harring and Naomi Watts in the leads roles, Lynch knew he had stumbled onto something special. When ABC rejected the show, Lynch decided to re-write the script and turn it into a feature film. With most of the original cast, included Justin Theroux, and crew rejoining the film version, the production commenced in October of 2000. Working with a budget of $7 million, provided by StudioCanal, Lynch used the film to explore ideas of fantasy, reality, and identity. The influence of Ingmar Bergman’s 1966 film Persona on Lynch was quite evident, especially in the way director turned the notion of identity and narrative on its head in the third act. Mulholland Dr. debuted at the Cannes Film Festival and played in competition for the Palme d’Or. The film received an outstanding reception and Lynch ended up sharing the festival’s Best Director prize with Joel Coen. The overwhelmingly positive reception helped the film to pull in $20 million worldwide and gave Lynch his third Academy Award nomination for Best Director. Mulholland Dr. went on to win the New York Critic’s Prize for Best Film. 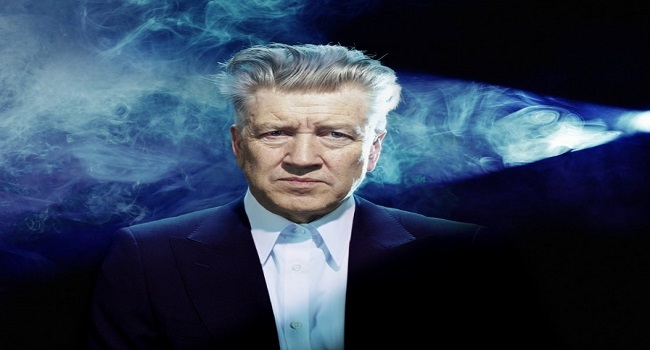 Having achieved the best reviews and commercial success of his career, Lynch decided to take a step back and explore the creative possibilities that the Internet offered. Using his own website as a platform to release films and announce projects, Lynch first foray into digital filmmaking was Darkened Room, a short inspired by the new wave of Japanese horror. The film revolved around an American woman crying on her couch, while a Japanese woman talks about bananas in her Tokyo apartment. Another digital short Lynch made was Out Yonder (Neighbor Boy), a film that featured Lynch and his son Austin sitting on lawn chairs discussing the neighbor across the street. Similar to some of the director’s early shorts, the film is an exercise in offbeat humor and surrealism. 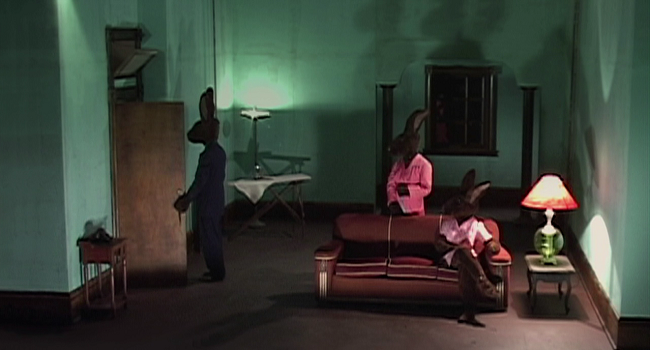 David Lynch continued to make boundary pushing works with the episodic series Rabbits. The avant-garde show mixed comedy, horror, and drama in its telling of a group of humanoid rabbits. Naomi Watts, Laura Elena Harring, and Lynch regular Scott Coffey all took part in the series and wore rabbit suits. The eight episode web series, shot entirely in a single static wide shot inside a room, featured characters reciting both serious and stylized dialogue even though it was presented in a comedic manner. Released on Lynch’s website, Rabbits drew positive reviews as it marked a new phase for the filmmaker. It marked the moment when he officially bid farewell to 35mm film stock and ventured further into the world of digital filmmaking.